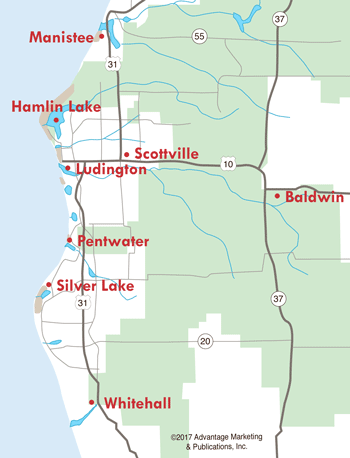 The West Michigan area is the perfect setting for your dream wedding. And you've arrived at the best site to begin your wedding preparations. This is the most complete online guide for planning your West Michigan wedding, and we have the information you need to get started on your celebration. Lakeshore Celebrations is here to make wedding and special event planning easier--one location where you can find all the information you need to plan your next party or event. We wish you the best experience on your big day! 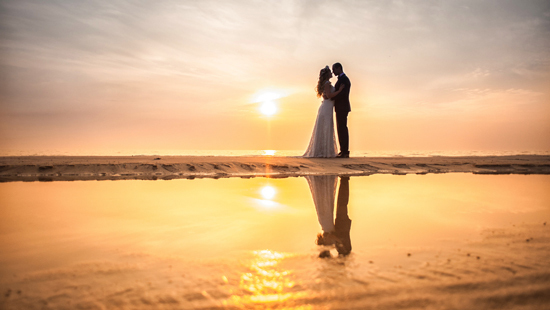 Pristine beaches and vibrant sunsets, a variety of lighthouses, scenic State Parks, and our very own S.S. Badger Carferry are many great reasons to let West Michigan host your upcoming wedding or reunion! Using the beauty that nature provides just enhances the moment, and Local Photographers are experts at capturing your memories along the Lakeshore. Spring, summer, fall or winter--celebrate your life in West Michigan. Your special day is a once in a lifetime event that needs to feel just right! Start by planning the location of your wedding on our Churches page, or maybe you're hoping for an outdoor wedding...visit our Beach & Park Weddings page to choose the perfect outside location! Be sure to invite all your guests to the ceremony with Invitations from local printing companies. Hire a Professional Photographer to announce your engagement and then to capture all of the special moments of your wedding day. For that dream wedding dress, check out local Bridal Shops for the best customer service you could ask for, as well as Jewelers for the perfect wedding bling! Find the most beautiful bouquets and boutonnieres from local Florists. The bride will want to get prettied up from a local hair and nail salon...visit the Health and Beauty page for a great salon to relax and get beautified before the big event! As for the groom, he will need a Tux Rental. Don't forget to make appointments to find tuxes and dresses for the wedding party! For the ceremony, you'll need a Wedding Officiant, and afterwards, reserve a Transportation Service or a Limo to sweep you away! For the reception, find a fun location on our Banquet Rooms page. You might want to have the food catered by professional Caterers, and think about how you want to Decorate the space. Don't forget to reserve a DJ or Entertainer, and a wedding cake from a local Bakery! For toasting and great drinks, be sure to hire a professional Bartender for your reception. At the end of the night, retreat to a beautiful, historic Bed and Breakfast, or many of our great Lodging locations. Bakeries -- These businesses are ready to make your dream cake, whether it be big or small, no matter what your budget is. Banquet Rooms -- Whether it be big or small, your reception is a once in a lifetime party! Check out these businesses to hold your celebration in. Bridal Shops -- Let these local bridal shops help you find your dream wedding gown. Caterers -- Take some extra stress off your shoulders and hire a local caterer to serve you and your guests a celebratory meal they will remember! Churches -- If you're looking to hold your wedding ceremony in a church, take a look at these local churches. Decorations & Rentals -- Purchasing your own decorations, seating, linens, and equipment can cost a lot of money! Look into renting what you need to save you stress and money. DJ's & Entertainment -- Unless you have your own sound equipment and awesome tunes, hire a DJ to do it all for you! Photographers -- Your wedding is such a special day...you'll want to make sure to hire a photographer to capture all the special moments before, during, and after the ceremony. Printers & Invitations -- Call these local businesses to print your save the date cards, and wedding invitations.